The lack of a true full-size, luxury, touring sedan is no longer looming over Cadillac’s head.Emblematic of big American automobiles in its heyday, the innovative domestic automaker is currently gearing through the most transformative stage of its illustrious history. Especially since the company has been functioning in the sedan market mostly with smaller, leaner and more agile vehicles since the demise of the larger DeVille and its DTS successor. What will become of Cadillac’s now smaller, front-wheel drive XTS remains to be seen, but note the rear-wheeldrive 2016 CT6 (Cadillac Touring 6) is worth its weight in gold! Of course the Escalade currently reigns as Cadillac’s bread and butter, and probably one of the most riveting vehicles of all-time. When contemplating a large, luxury SUV, only a few nameplates instantaneously come to mind; one of which is the venerable Range Rover and the other is the cherished Escalade. The goal is for the CT6 to climb atop consumer’s consciousness when they are deliberating on a vehicle in the respective category. Can the CT6 become the Escalade of the touring sedan market? Well, it certainly has all the assets to compete in the crowded and well-respected field. I headed to Southern California for an introduction and test drive of the newfangled CT6 recently and liked what I saw. It just felt right. There will be no second-guessing on why this premium sedan would theoretically be chosen over a Lexus LS or Mercedes-Benz E-Class. Actually, Cadillac created their own size segment so the CT6 scales between a BMW 5 and 7 Series. Remember, innovators don’t follow. The long wheelbase ride is the stiffest and quietest car ever produced by Cadillac (stiffer than an ATS and lighter than a CTS at 3,657 lbs). The use of mixed materials constitutes 38% steel such as the passenger cell — mainly for the large flatpanels — and 62% aluminum consigned mostly towards the structure areas. Overall, the CT6 was engineered utilizing 20% fewer parts. “The CT6 is nothing less than an entirely new approach to premium luxury – and an approach only Cadillac can offer,” said Johan de Nysschen, president of Cadillac. “It is a bold endeavor with unmatched dynamism that reignites a passion for driving in large luxury vehicles. In short,it is prestige luxury reimagined. 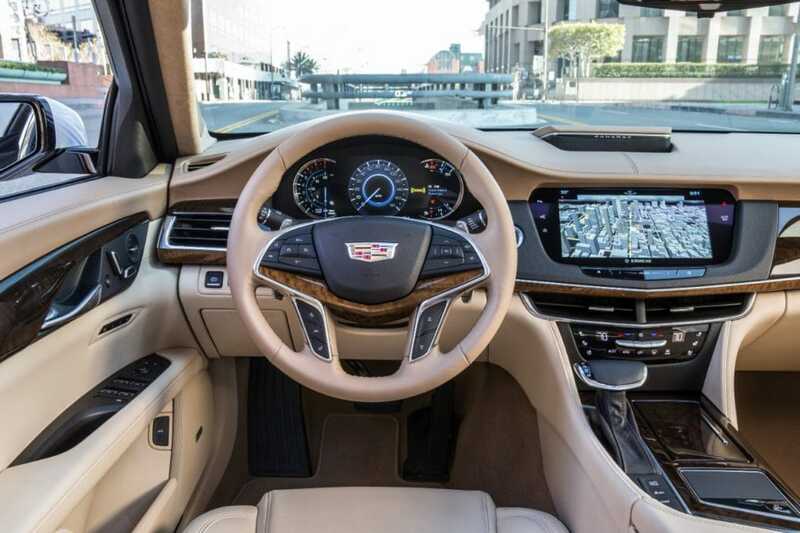 ”I began my journey in the rear of the CT6 after being picked up from LAX. I wholeheartedly enjoyed the reclining, heating/cooling rear massaging seats (Articulating RearSeat Package). The seat features can be digitally controlled through either of the 10.1” LCD panels that retract from the back of each front chair. Cadillac also integrated HDMI and USB ports into the package. Turn up the volume on Bose’s magnetic Panaray Surround Sound System (standard on the Platinum model and $3,700 on the Premium Luxury model) for ultimate enjoyment. With 34 smaller and precisely placed speakers in 19 acoustic areas, technology from Bose’s professional entertainment units, advanced company software and digital processing, the auditory playback was simply astonishing. Especially how Panaray controls deep base without distortion or sacrificing clarity. Panaray is the first of a number of systems in works. The Bose Advanced Technology Series will see life in a cadre of future luxury vehicles, although Cadillac has exclusive rights to the “Panaray” name. Going for a long drive? Well, the back seat of the CT6 is perfect for catching up on the previous six episodes of Star Wars. After taking the wheel myself and enthusiastically blistering the CT6 around the back-bending roads of Romona County, I was pleasantly surprised at its level of performance. It certainly handles and impersonates a smaller vehicle. The all-new 3-liter Twin Turbo V6 is astounding. It delivers more than enough power for any purist. 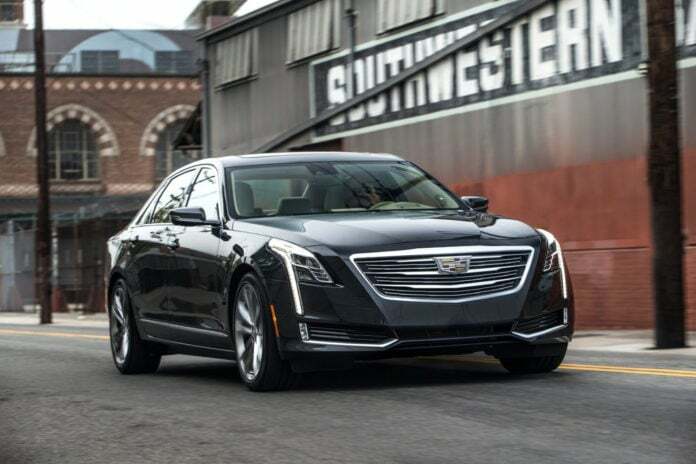 With 404-horsepower, 400 lb.-ft. of torque, cylinder deactivation, stop/start and the Hydra-Matic 8-speed automatic transmission with magnesium paddle shifters, the CT6 combines efficiency while providing V8 action and power. Active Rear Steering and Magnetic Ride Control — as part of the $3,300 Active Chassis Package– and selectable drive modes (Tour, Snow/Ice and Sport) enhances the drive flexibility of the CT6 even further. Starting at $67,570 my Graphite Metallic CT6 Premium Luxury AWD topped out at $69,060. The other two engine choices are the $53,496 CT6 2.0L Turbo and the $55,495 CT6 3.6L V6 with AWD. Elevate your game by opting for Cadillac’s $83,465 CT6 Platinum edition. Designers wanted the vehicle to look light and sporty, which is why they utilized long lines from front to rear. The silhouette of the CT6 is aggressive but clean. The catalyst stems from the “shield like” thin and wide grille. Its front fascia is adorned with vertical LED light blades and Indirect Fire LED headlamps while imperial 20” rims (18s and 19s as well) provide agrand stance. Sharp creases — not too many — and chrome, strips top off the rest of the courageous exterior styling. Think of your favorite mobile technology devices and the CT6 is sure to collectively offer the same capabilities. Examples include the new CUE 10.2” HD screen that incorporates AppleCarPlay (replicates the features of your iPhone onto the screen), weather app, texting, OnStar with 4G LTE and Wi-Fi hotspot, Rear Vision Camera and Surround Vision. The CT6 also gives you wireless phone charging, OnStar, the ability to record the front vistas while driving and a Rear Camera Mirror which is an actual video image projected within the glass. I wasn’t too fond of this technology, and used the lever to flip to normal mirror images. However, the rest of the aforementioned is everything I want and need in a vehicle. Once you incorporate certain levels of connectivity and convenience in your lifestyle it is challenging leaving it behind. Keep in mind, the thick, thumb-printed, multi-function steering wheel operates many of the aforementioned functions. 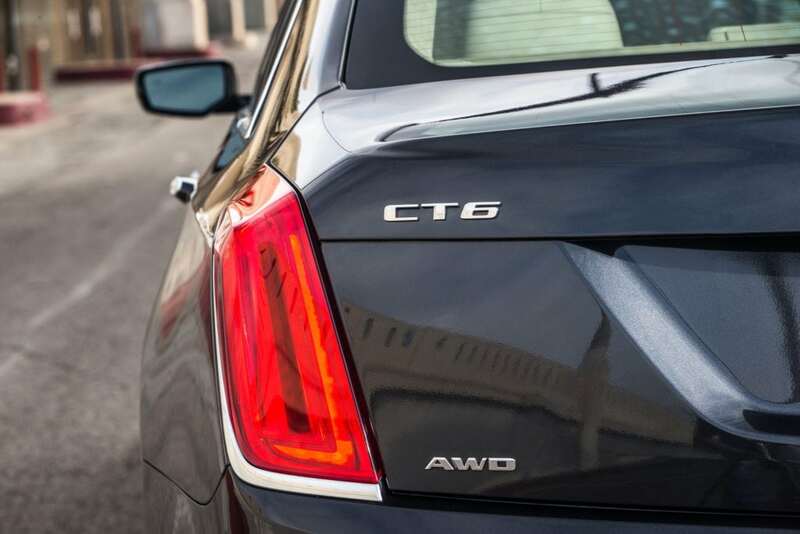 When the sun goes down, the CT6 illuminates upon approach when the key is detected. Night Vision is able to identify both animals and humans ahead in the vehicles path. Offered as a CT6, Luxury, Premium Luxury and the Platinum model, the car is enhanced with safety prevention mechanisms such as Full-Speed Adaptive Cruise Control, Side Blind Zone Alert, Lane Keeping Assist, Auto Front Braking, Auto Rear Braking and much more. So, are you ready for your American hustler? Previous articleEnd of the Road for Driver Responsibility Program?